In every single hand of video poker that you play, you have to contend with the fact that there are 32 total ways to play your hand, including not discarding anything at all. As the most basic and fundamental game in the genre, Jacks or Better strategy forms the basis for all other video poker games, so if you learn how to play this game well, then you’ll have a great foundation to play all other titles. What we’re going to dig into here is one of the most basic parts of strategy for this game but also one of the parts that people consistently make mistakes with. In video poker, splitting pairs refers to a specific situation where you have two different ways that you can play your hand. You’ll typically have some type of four-card draw (or sometimes a three-card draw) as well as a pair, and you have to decide to go with the pair or the draw since you can’t play both. It’s not very intuitive as to which way you should play it, and that’s where strategy comes into play. 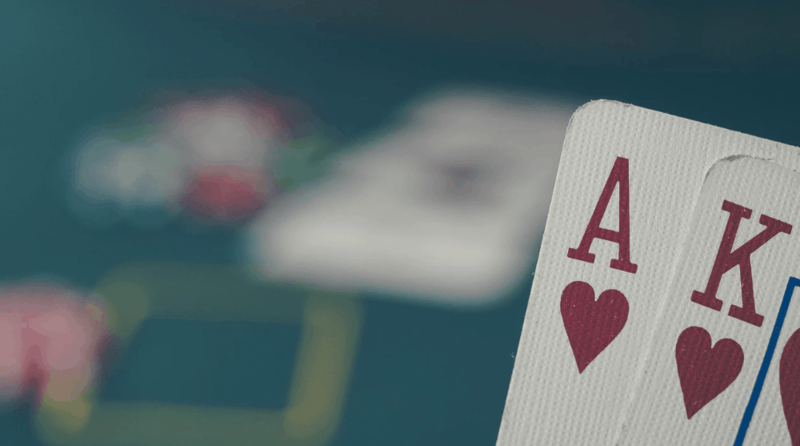 You essentially have two types of pairs that you can get in Jacks or Better video poker, and which type of pair you have largely dictates how you should play your hand. High pairs are pairs of jacks, queens, kings or aces that will get paid on their own if they do not improve. Likewise, low pairs are all pairs from twos through tens that will not get paid unimproved. If you have one of these pairs, then you can decide when you’ll split your pairs and when you will not based on the draw you have. All of the available draws have rankings based on whether they are better or worse than high or low pairs. Four to a royal or four to a straight flush are both better than a high pair. A high pair is better than three to a royal and four to a flush, and both of those draws are also better than a low pair. However, a low pair is better than four to any type of straight (with one exception, see below) or three to a straight flush. There’s one very specific exception to the rule that four to a straight is always worse than a low pair. If you have a K-high straight draw with a pair of tens, then you should actually go with the draw instead of the tens. In this case, the ability to pick up high pairs with the king, queen and jack swing things in the opposite direction as usual. If you need to, you can include these rankings on a small notecard or something to have while you play until you get them down pat. Jacks or Better is an excellent title to start with, especially if you get the full-pay tables like what they have at Microgaming casinos in particular and a number of other places online. This is known as the 9/6 pay table that gives 9x for full houses and 6x for flushes, and anything less than that will give you a worse payout rate.